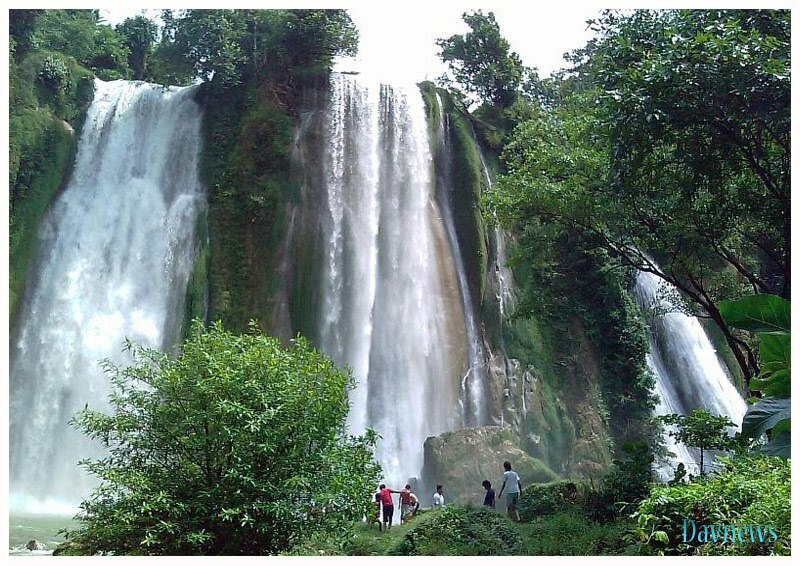 Curug Cikaso, the location of this waterfall in the tourist area tile Ujung. Cikaso is a river that flows from the upper reaches are located in North Sukabumi until the end with its mouth on the South Coast area Surade District, South Sukabumi. 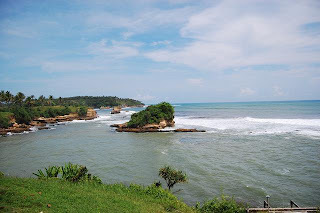 From upstream to estuary, river water coursing cikaso some curaman river cliffs which form the outpouring of amazing waterfalls. 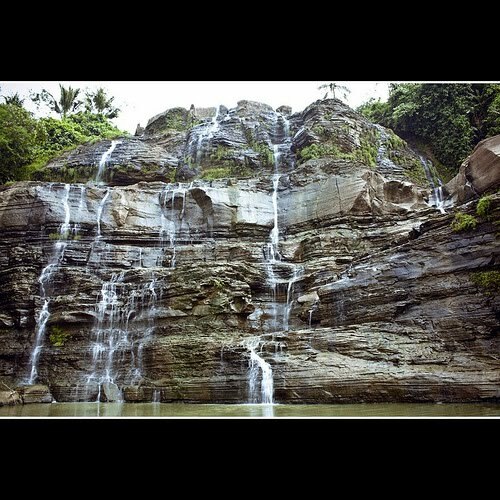 Location Cikaso Waterfall tour is going to be a complement to your nautical tourism in tile Ujung quite satisfied after enjoying the charm of the ocean beaches at the End of tiles, this is an appropriate location for swimming in freshwater. 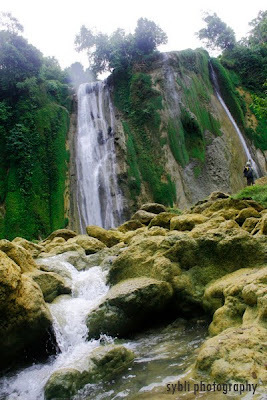 Waterfalls Cikaso or better known by local names Cikaso Curug is located between the Jampang Kulon and Surade. Overflow waterfall looks stately and charming, waterfall panorama of the fair has become a favorite of cameramen shooting you can see in various sources on the internet. Tile Ujung well known with its charming beaches, it is also rich with Curug / waterfalls along the rivers, besides Curug Cikaso you can also see other Curug Curug-also well known as Curug Luhur, Curug Cigansa and many others. 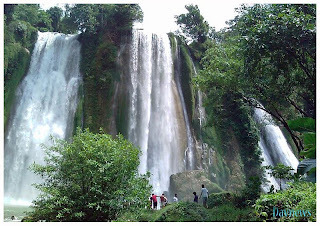 Water flowing from upstream in the mountains of North Sukabumi, Sukabumi along its flow toward the South (South Beach) seems to produce a fairly swift stream with rapids and riffles challenging for the hobby of water sports activities pengarungan cascade (white-water rafting). 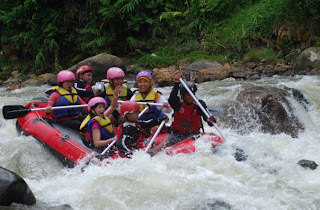 Cikaso River was not known by many activists rafting, be advised in areas far Jampang Kulon in remote southern coast of West Java are far from common trajectory. Yet this river has a potential that is not less interesting than the other rivers that has already forded. 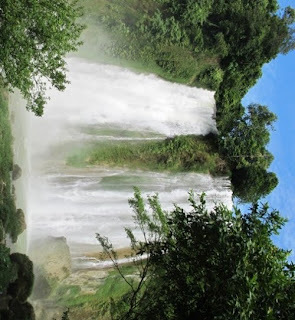 Class II rapids-jeramnya to VI, with river width varies between 50 m to 100 m plus the scenery is quite exciting because there are many waterfalls on either side of river. According to information from local residents (Jampang Kulon), did not many actors who try to Rafting whitewater rafting in this river. Information about the route is also still difficult to access. Although you are armed with topographic maps, are still difficult to identify and track the path of the river more detail. So that information from the local population is still very useful as an initial stage of the survey locations. Yet these suggestions to keep enough extra vigilant and more careful because the main point of this path has not been widely known, hence provisions and preparation of equipment becomes very important, because it can be expected to stay in the middle of the journey. 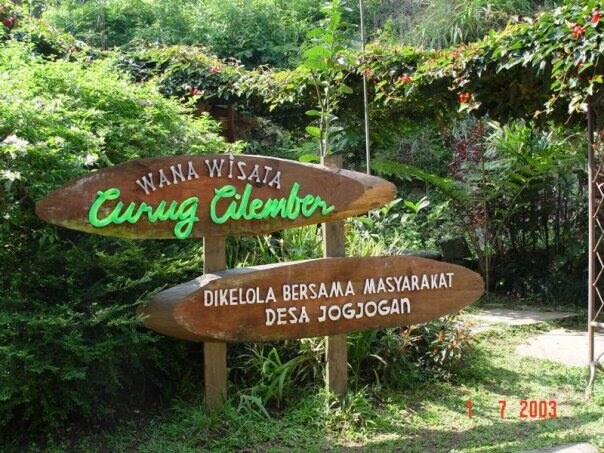 No need to use the equipment and special skills that only want to enjoy the natural charm of the river channels Cikaso, because there are many other potential in this Cikaso river area, one of which is the charm Curug Cikaso. You and your family can enjoy the splendor of the abundant water of the river is free with a beautiful sliding, thus forming a small lake-green-colored nodes are comfortable for bathing and swimming. The journey to this Cikaso Curug can be started from Kampong Ciniti, once on the tip of the village readily available community-owned boat to take us to the location Curug. Wooden boat that can carry 50-10 people and operates using diesel engines, several boats djoekoeng (rowing) were also seen there in neat rows, the local people take advantage of this wooden boat without an engine is generally used for transporting sand (sir-sands mines and stone) and sold as building materials. The location of the village Ciniti Curug Cikaso actually not too far away, just cross your stay straight to continue on foot, but generally the visitors take advantage of the wooden boat to tour around the river with little additional cost. Whirling and circling the Cikaso River is interesting, especially for those of you who never ford the river with wooden boats. Around the edges-the edge of the river you will also witness the activities and the activities of local communities who are taking the sand, occasionally they drowned herself while carrying equipment to dredge the sand and placed in a small boat that is not much beside. Curug Cikaso it still managed by local people, tickets were still relatively cheap entry of joy, simply by replacing the money amounting to Rp. 1500, - which is designated as a local village incomes. If you arrived at this location, make sure you to swim in small lake overflows from the waterfall, the water is tasteless green looks very cool. Do not worry if you did not know how to swim, because some children have already provided the tires used for assistance for visitors who want to swim while enjoying the charm of Curug Cikaso. Lawang Sewu Sensation Night Tour! Raja Ampat, Favorite Travel Destination! Copyright 2010 about indonesia. All rights reserved.